Aqua Flo's patented UVB system is designed to provide disinfected water at a flow rate of 2 GPM. UVB systems are ideally suited for installation under kitchen sinks or on office water coolers, water vending machines, boats, and recreation vehicles. The UV BigBoy is the most versatile commercial ultraviolet disinfection system on the market, producing water between 15 and 60 GPM. Ideal for recreational vehicles and other applications with low water demands and space restrictions, the UV1-EPCB produces 1 GPM of water and uses either a 0.5 micron (EPCB) carbon block filter or a 10 micron (EPCB 10) carbon block filter. 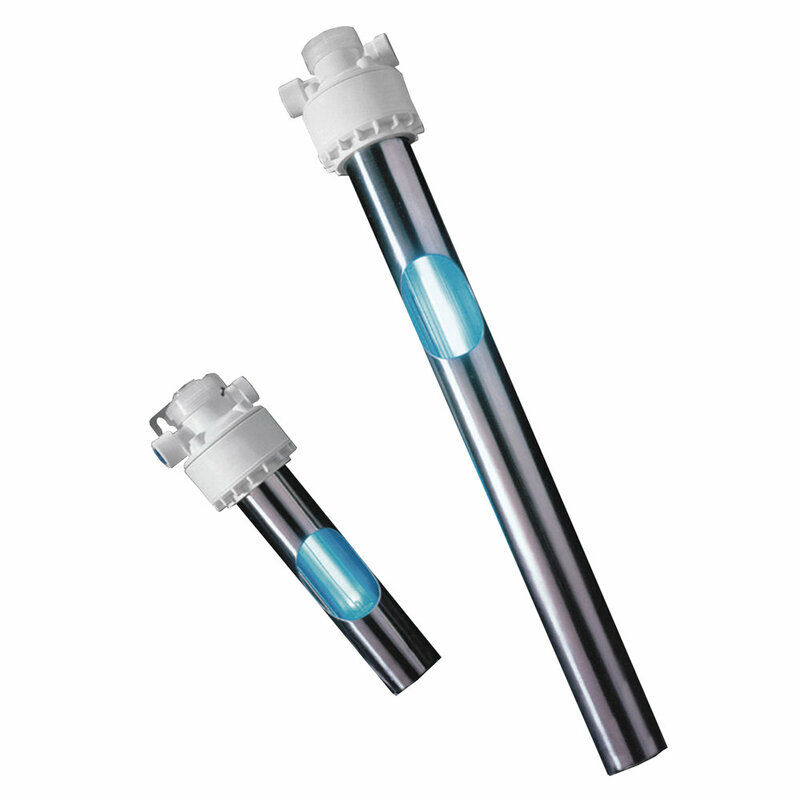 Designed to be an easy addition to water treatment systems that require UV disinfection (RO systems, holding tanks, water dispensers, recirculating systems, and more), the Aqua Flo UV ADDON Series is available in a 1 GPM or 3 GPM flow rate.